Providing you the best range of service industry project report, cold chain project reports and cold chain consultancy with effective & timely delivery. We are an ISO 9001 : 2000 certified firm engaged in providing efficient Service Industry Project Report to the clients. Service Industry Project Report are provided by our professionals after analyzing the exact requirements of the clients. 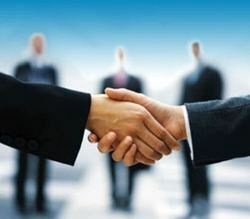 The services we offer are highly acclaimed for their effectiveness, reliability and timely execution. We can provide you detailed project reports on Cold Chain Project Reports.Efforts to educate about prevention can be supplemented by enhancing the traceability of food shipments within the supply chain. The Food Safety Modernization Act calls for the FDA to focus on new food traceability rules to prevent contamination. 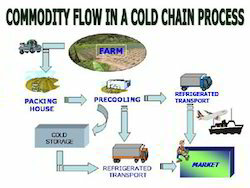 We are the leading consultant for Cold Chain Consultancy in Indian market.Efforts to educate about prevention can be supplemented by enhancing the traceability of food shipments within the supply chain. The Food Safety Modernization Act calls for the FDA to focus on new food traceability rules to prevent contamination.